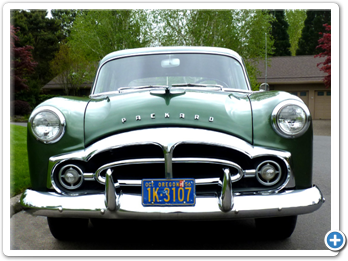 Packard’s Twenty-Fourth Series was introduced on August 24, 1950 for the ‘51 model year. 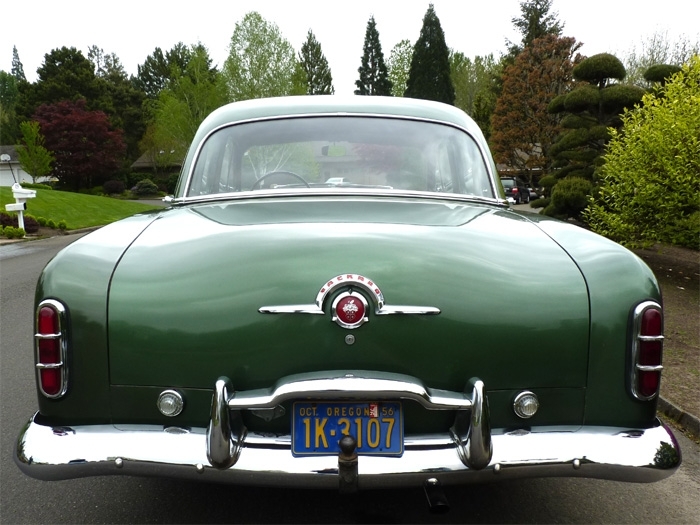 The Society of Motion Picture Directors named this Packard “the most beautiful car of the year,” and press reviews were positive: Auto writers praised Packard’s acceleration, high-speed handling, and its longer, lower body style with the horizontal grill and generous visibility. Consumer response was also positive. 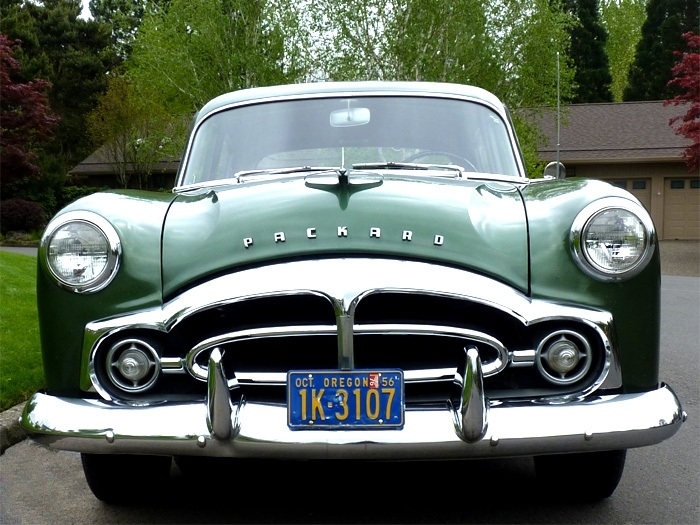 Model year production totals were the third highest in Packard’s history, topping 100,000 cars. The Twenty-Fourth Series turned a tidy profit for the company. 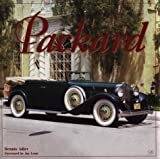 Fifty-two years later Packard owners Herb and Bobby Shaw were considering adding to their already owned 1941 Packard 160 Coupe, a convertible from the same year. A fellow club member called to tell them about a car they should see. So Herb went to look at the car even though it was not the right make, year, body style, or color. And although you might call it a “barn find” it wasn’t really in a barn. Herb later returned with his mechanic who was so impressed with the car he couldn’t help but say so. 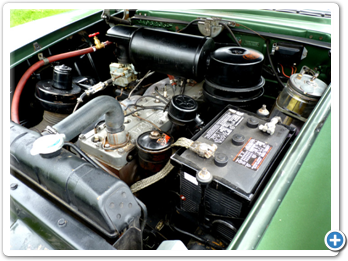 Herb and Bobby’s Packard has accumulated less than 1000 miles per year since it was new, and it shows. 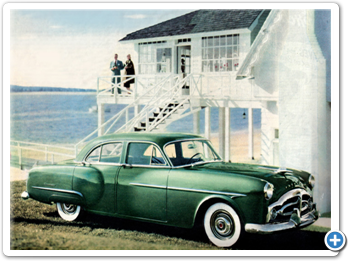 “When we purchased the Packard, it only had 52,000 miles on it. It’s all original except a couple of fenders that have been repainted. 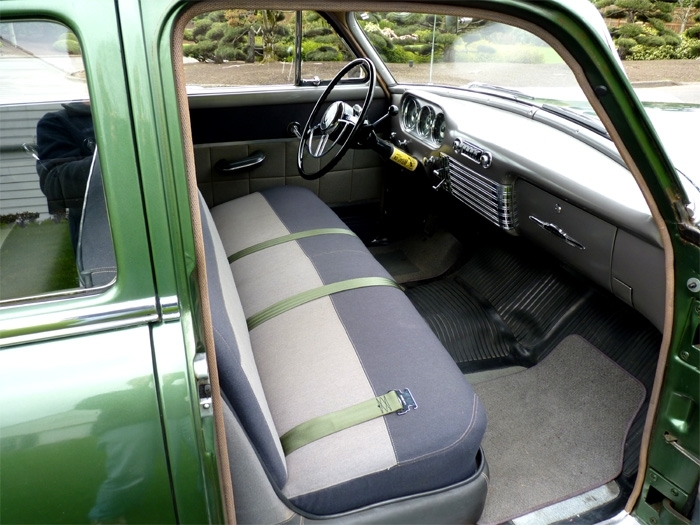 And it had seat covers on it, apparently from when the car was new. 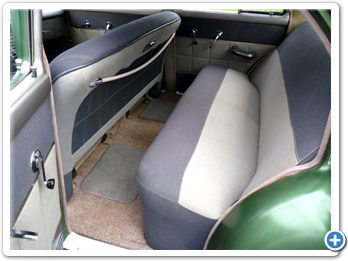 When I first saw it, the back cover had been removed, so I removed the front one and the upholstery is like new. So far, I’ve only had to rebuild the leaky Ultramatic transmission and repair a compression problem in the engine. “The mechanic hadn’t rebuilt an Ultramatic before but he read up on it and got as much information as he could and then tore into it. The transmission worked fine but it leaked badly. Now it still leaks a small amount, but mostly after it has been sitting for a while. Otherwise, it is a very smooth and quiet transmission. Note: One company that sells the special “screws” as well as other cast iron repair solutions is Lock-N-Stitch (www.locknstitch.com). 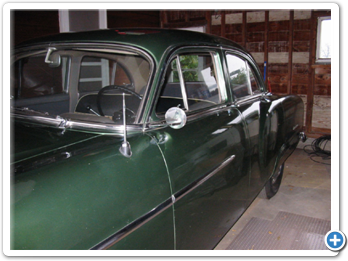 The Shaws have been using their Packard for seven years now and it’s proved to be very reliable. 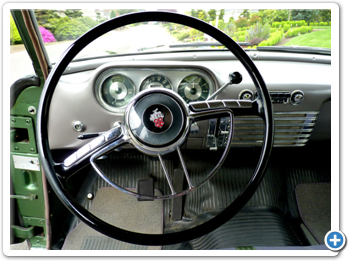 “We’ve been using this car for tours and it’s comfortable and of course with this model we can take people with us. There’s no electric fuel pump so you have to pump it a few times if you haven’t driven it in a while. Otherwise, it starts quickly. Herb and Bobby have only driven the car about 1000 miles per year so gas mileage and fuel grade are not significant issues. Herb was able to bring the paint up to its current luster using a product named System One. “I had read about the product in one of the car magazines a few years ago and everybody had raved about it. I called the distributor who was in Montana and he ended stopping by on his rounds to give me and a couple of guys a demonstration. The stuff is unreal and it really worked like a charm. A fast and easy way to safely and easily removes rail dust, water spots, tar, bugs, and paint overspray from automotive paint and glass surfaces. A single bar will do 15-25 full size vehicles. 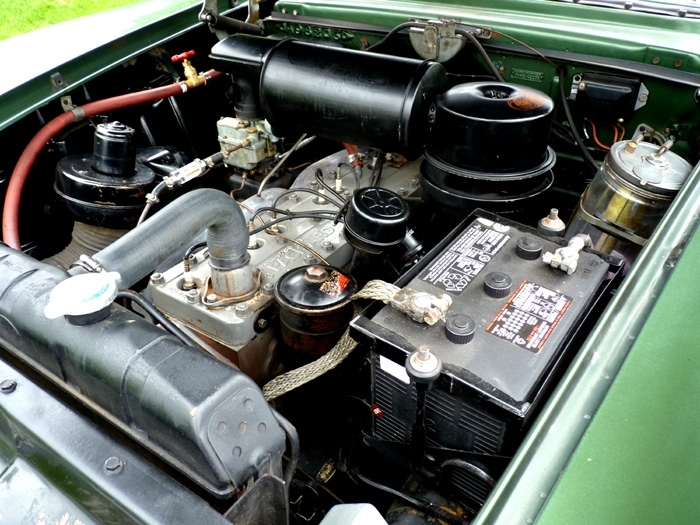 In today’s field of high-compression power, Packard gives you America’s highest-compression eights. 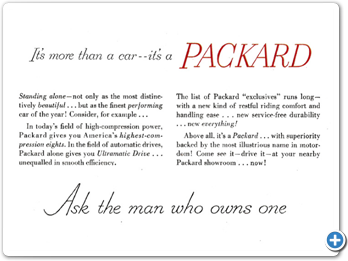 In the field of automatic drives, Packard alone gives you Ultramatic Drive...unequaled in smooth efficiency. 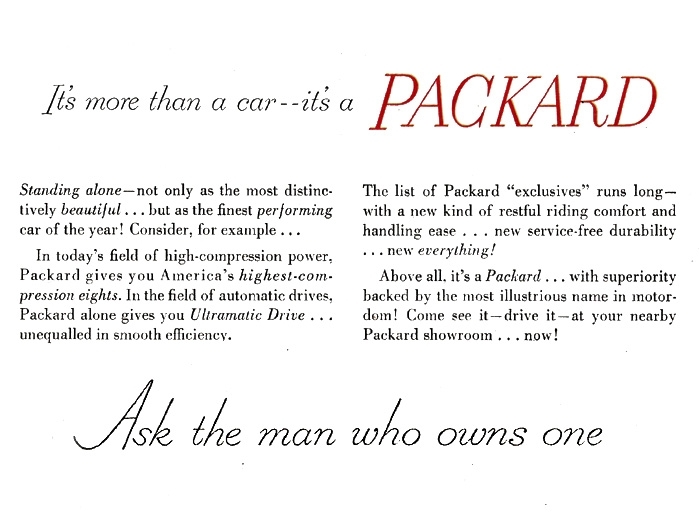 The list of Packard “exclusives” runs long--with a new kind of restful riding comfort and handling ease...new service-free durability...new everything! Above all, it’s a Packard...with superiority backed by most the illustrious name in motordom! 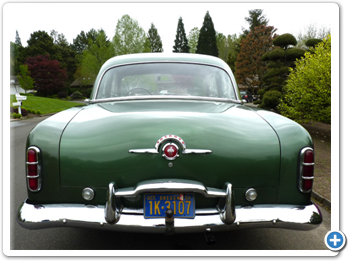 Come see it--drive it--at your nearby Packard showroom...now! 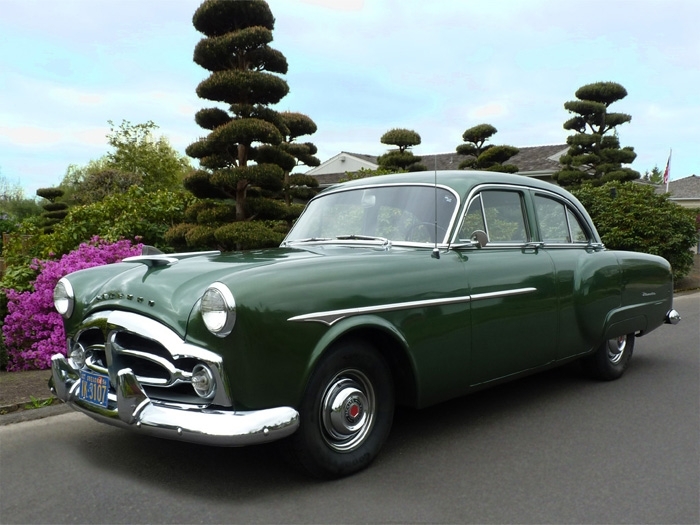 The base prices of the 1951 Packards ranged from $2302 for the Businessman’s Coupe, to $3662 for the Patrician 400 (similar to a Cadillac on the low end and between Cadillac and Buick on the high end). How did Packard evolve from dominating the luxury market in the ‘20s and ‘30s to playing catch-up with Cadillac? In the early thirties, the Great Depression had pushed Packard sales down to one quarter of what they were in 1929. 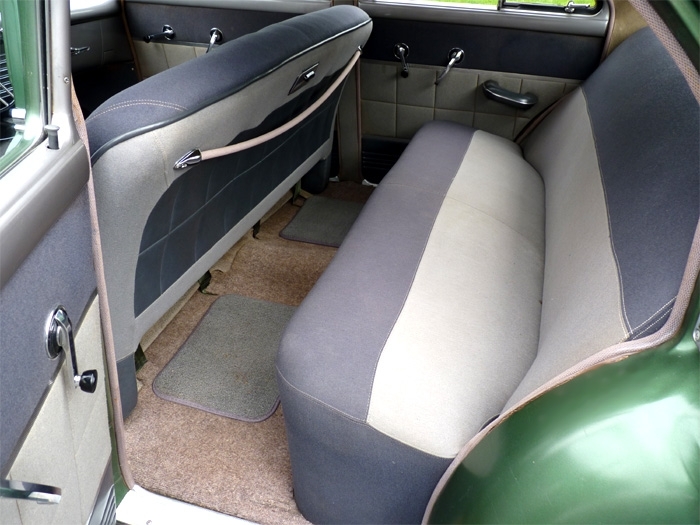 To address the problem, the company made plans for a medium-priced, “Junior” car and began tooling up for volume production in 1934. The eight-cylinder Packard “120” was introduced in early January, 1935 and became an instant hit with the car-buying public. Nearly 25,000 units were sold that year. In 1936, sales more than doubled. 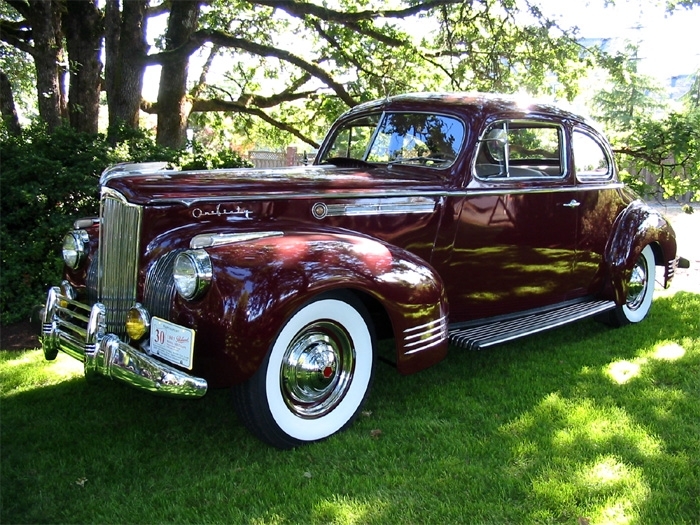 In 1937, the new Junior line was expanded to include a six-cylinder model, the Packard “Six.” By the decade’s end, nearly half a million Junior Packards had been sold, keeping Packard in business, at least for the time being. As the Junior sales rose, the Senior sales declined. Some debate exists as to the role the Junior cars played in the Seniors’ lackluster sales. But the American way of life was changing and the demand for luxury vehicles had nearly evaporated. 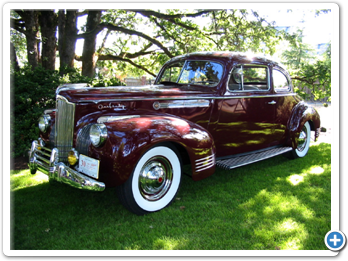 Pierce Arrow, Duesenberg, and many other luxury marques were going out of business but Packard, thanks to its popular Juniors, survived. 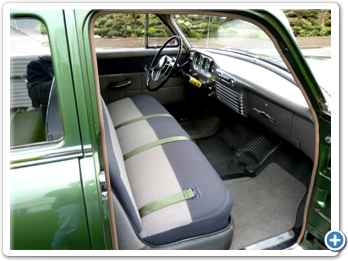 In 1934 Packard hired George Christopher, a retired General Motors production specialist, to help with the manufacturing of the Junior cars. His success with the new line eventually led to his appointment as president and general manager in 1942. 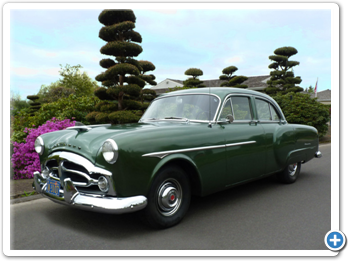 Christopher saw volume production as the way to do business so it was no surprise when, after WWII, Packard moved forward with only its Clipper line, abandoning all the “traditional” models having the vertical-slatted grills. The Clippers sold well in 1946 and 1947, as did the restyled “Bathtub” Clippers in 1948-49. 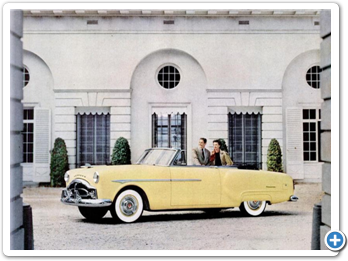 But the public, and even Packard employees, were divided on the “Bathtub” look. 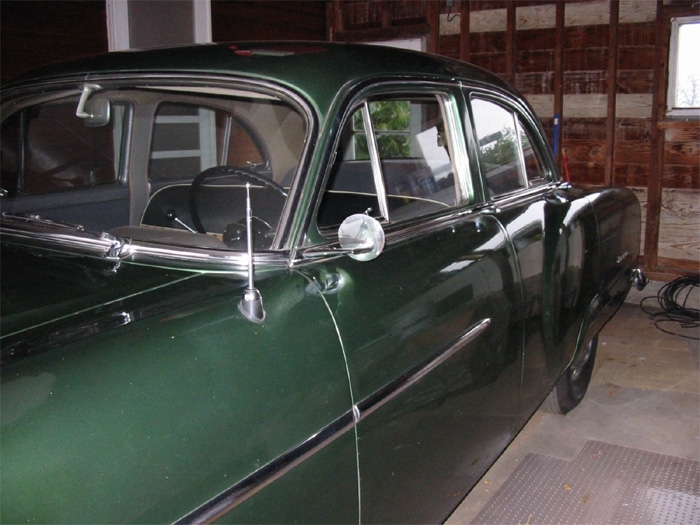 In 1950, though sales had dropped off, Christopher wanted to continue reworking the “Bathtub” body into 1951 and beyond. His chief engineer balked, along with the company’s board of directors, resulting in Christopher’s resignation at the end of 1949. Hugh Ferry was named to replace Christopher and almost immediately, Ferry began looking for a replacement. He soon found James J. Nance, then CEO of Hotpoint (a subsidiary of General Electric). However, Nance did not accept the position until 1952. After the war, Cadillac’s strengths were its wide selection of models, its untarnished luxury image, and the support of a huge corporation. 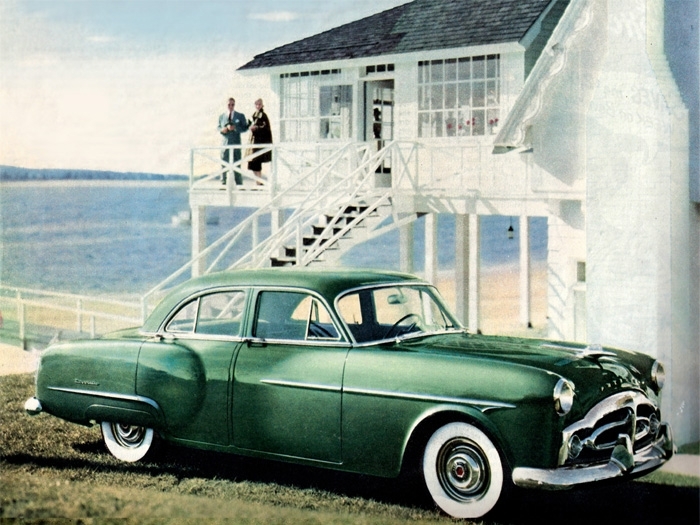 Packard outsold Cadillac in ‘46, ‘48, and ‘49, despite Cadillac’s advantages. But it stumbled badly in ‘50, selling fifty percent fewer cars than its competitor. 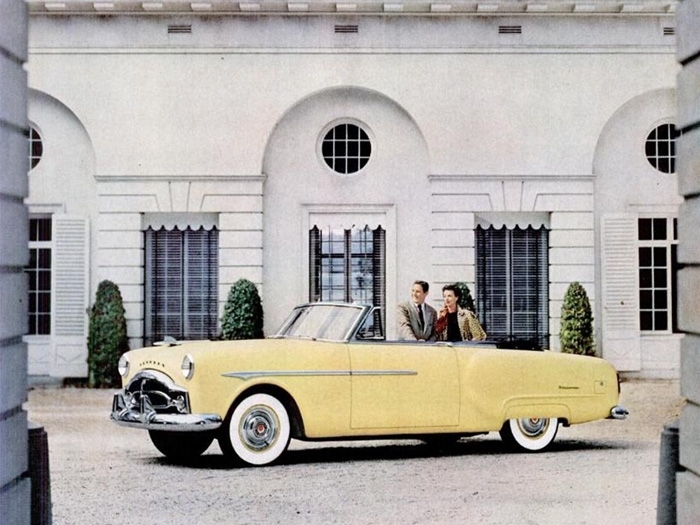 The ‘51-‘53 models were received well by the public and for a time, Packard was at least in the running, but sales fell precipitously in ‘54 and ‘55. 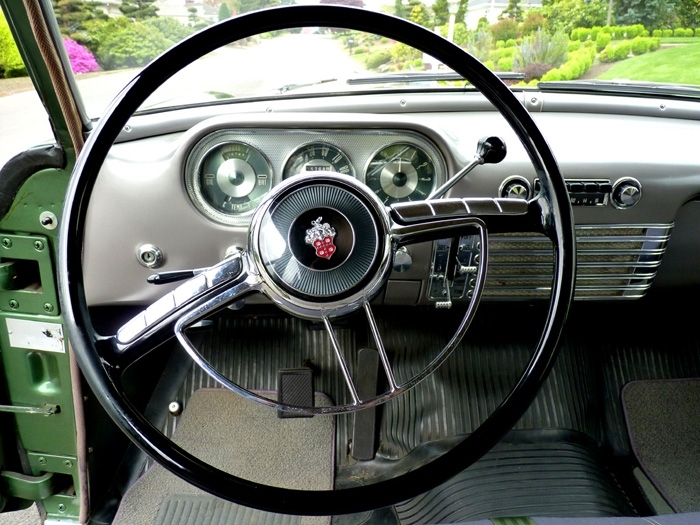 Between ‘56 and ‘58, its final year, fewer than 20,000 cars were sold. So ended a glorious marque. 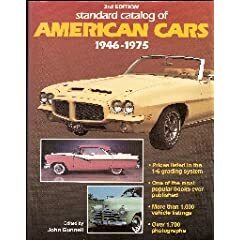 According to the Standard Catalog of American Cars 1946-1975, during the 1951 model year, Packard sold 100,132 cars. The production total for the 200 Deluxe Sedans was 47,052 and its shipping weight was 3660 pounds.